Isla de Ometepe may be small in size, but it boasts two large volcanoes that dominate its landscape and influence the local lifestyle. Explore hidden gems such as Punta Jesus Maria and Museum El Ceibo. 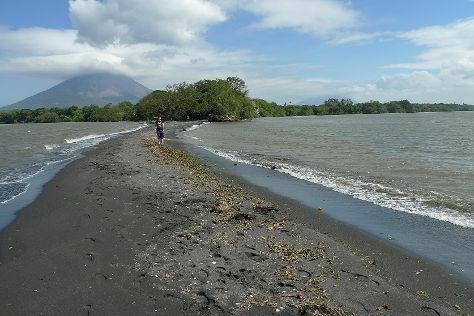 To see maps, other places to visit, where to stay, and other tourist information, read Isla de Ometepe itinerary builder. 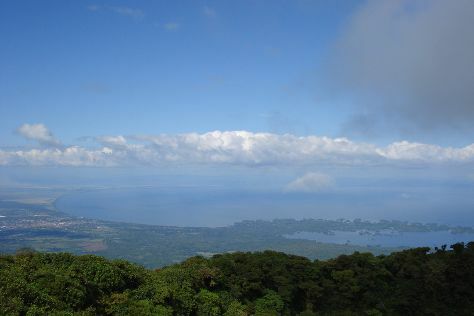 Managua to Isla de Ometepe is an approximately 3.5-hour bus ride. 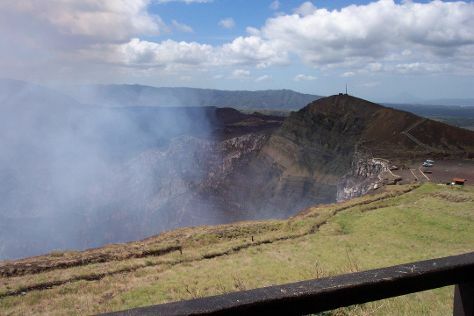 In July, daytime highs in Isla de Ometepe are 35°C, while nighttime lows are 29°C. Wrap up your sightseeing on the 4th (Tue) to allow time to take a bus to San Juan del Sur. Start off your visit on the 4th (Tue): get the adrenaline pumping with an extreme tour, then kick back and relax at San Juan del Sur Beach, and then cast your line with a fishing tour. Here are some ideas for day two: make a trip to Mirador del Cristo de la Misericordia, trek along Macua Tours & Travel, and then enjoy the sand and surf at La Flor Beach Natural Reserve. For ratings, other places to visit, reviews, and other tourist information, read our San Juan del Sur travel planner. You can take a bus from Isla de Ometepe to San Juan del Sur in 1.5 hours. Expect a daytime high around 35°C in July, and nighttime lows around 29°C. Wrap up your sightseeing on the 6th (Thu) to allow time to take a shuttle to Granada. You'll discover tucked-away gems like Mirador de Catarina and Stand-Up Paddleboarding. Step out of Granada with an excursion to Laguna de Apoyo in La Laguna de Apoyo--about 32 minutes away. There's much more to do: head off the coast to Islets of Granada, pause for some serene contemplation at Catedral de Granada, admire the striking features of Guadalupe Church, and browse the exhibits of Tesoros de Nicaragua - Gourmet & Gift - Shop. For other places to visit, maps, more things to do, and tourist information, refer to the Granada trip planner. You can take a shuttle from San Juan del Sur to Granada in 1.5 hours. Another option is to drive. In July, daytime highs in Granada are 38°C, while nighttime lows are 28°C. Finish your sightseeing early on the 8th (Sat) to allow enough time to drive back home.